If you’ve used Dove soap, or had Lipton tea, or eaten Hellmann’s mayonnaise or Knorr soups, you’re familiar with Unilever. Even better, Unilever’s ongoing “agile working” policy aimed to have 30% of its jobs location-free by 2015, the Financial Times reported. The agile working policy stresses that employees can work anywhere and anytime as long as business needs are met. Managers are also evaluated on how well they support “agile workers,” the Financial Times added. Maybe because of its European roots (British-Dutch), Unilever appears to have an unusually strong commitment to work-life balance and opportunities for women (45% of its managers were women as of last year). This bodes well for its “work from anywhere” plans. 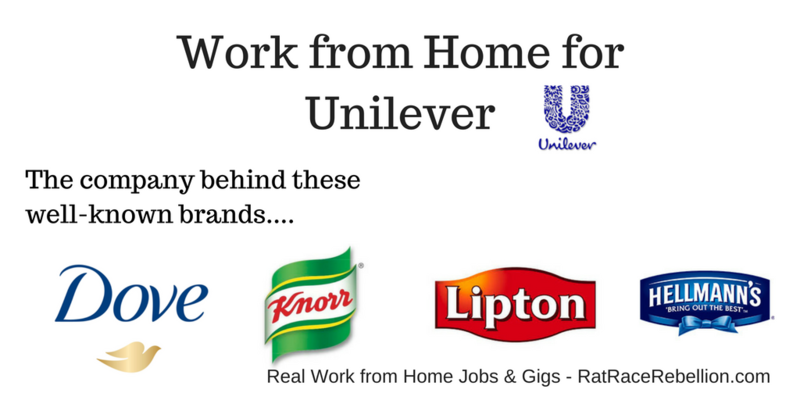 Searching Unilever’s jobs database with keywords like remote, agile, and “flexibility to work from home” (with quotes) — and running the same searches on Google adding “+ Unilever” — turned up a variety of non-cubicle jobs. 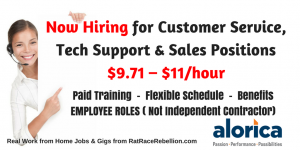 These include Business Development Manager, Shopper Insights Manager, Senior Data Analytics: Walmart Sales, Sales Team Lead – Sysco and Amazon, Category Managment Manager – Kroger, Foods & Refreshments,, and more. If you’re outside the US, you’ll find examples, too. For the company’s jobs database, click here. Don’t Forget to Bookmark and Set Google Alerts! 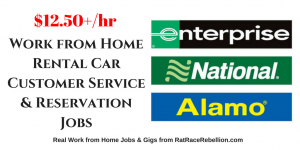 As with any large hirer, if you don’t find a job today that fits, be sure to bookmark the page and check back often. Also set Google alerts for your search terms, so you’ll know right away if your job appears. Given Unilever’s “agile work” policy, you may also want to consider seeking a job nearby, then “migrating” the job home as quickly as you can. 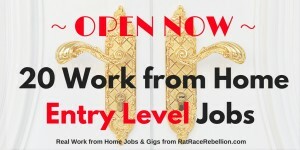 This entry was posted in Work at Home Jobs and tagged Unilever. Bookmark the permalink.